III. Top 15 Tech Companies in 2018 by Revenue IV. Today, technology as a whole is inﬂuencing all the activities of human life. Now the world is at a tipping point since many of the global challenges are resolved using high-end machinery and software. The technology companies are playing a signiﬁcant role in this uprising. These industries have become one among the fundamental driving forces that fuel the country’s economy. The United States is known as the largest tech market in the world. It represents 31% of the total, that is approximately $1.5 trillion in the year 2018. Whereas, the Asia-Paciﬁc region - Japan, China, India, Australia, and other surrounding nations takes the one-third share of the total. The technology market is expected to grow continuously at a rapid phase in the future. 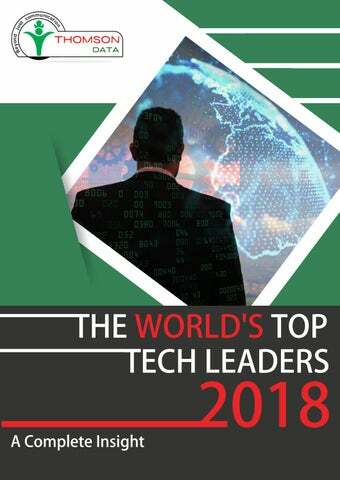 This research report contains the statistical overview of the top technology companies worldwide. The chief objective of this report is to help the marketers and decision makers for more accurate targeting as well as suﬃcient allocation of resources. There are hundreds of thousands of tech companies in the world. As usual, the U.S. always secures ﬁrst place in the world’s largest tech companies. Asian companies are slowly inching to enter this list. Apple remains at the top position in the tech environment by ranking as the largest tech company in the world by market cap. Alphabet made it to the second place whereas Microsoft, yet again occupied the number three spot in 2018. There is no new entrant this year, but the previous entries are continually juggling with their position to reach the top. Take a look at this chart to know more about all the top companies and their size. If you glance the list of top tech companies by revenue, you will note that it is dominated by American names followed by Chinese, Korean, and Japanese company. These names shown below are extracted from the Fortune Global 500 list 2018. The recent study revealed that mobile application developers would have a good time since this role saw an employment growth by 30% in 2018. We extracted a list of 20 such tech jobs from the Bureau of Labor Statistics that may see a huge rise this year as well. The demand for tech jobs will mostly look the same as it did in 2018, with diﬀerent roles in computer vision engineering, machine learning, software development, and app development dominating across IT industries. We listed 10 such most demanding tech jobs according to career site experts and recruiters. Take a look at it. Most valuable American brands have topped the list like every other year. The tech giants such as Google, Apple, and Microsoft secured the ďŹ rst 3 positions whereas Chinese and Taiwan companies have also occupied space in this list. Here are 20 such valuable tech brands sorted based on their brand value. Tech stocks are a proven way for patient investors to capitalize on businesses that positively aﬀect their way of life. But ﬁnding the best stocks is easier said than done. We listed top 6 tech stocks you can buy this year and yield a considerable proﬁt from it. The top lists mentioned in this report reveals exciting information about technology ďŹ rms. The U.S. companies topped almost every list in 2018 whereas China and Korea secured second and third position on average respectively. Germany, Ireland, Netherland, and India have also made into the top tech companies list through its revenue and brand name. We can expect them to see an increase in its position by one or two in the coming years. Several other countries are also trying to position themselves in this list. Hence we can assume at least a few new names by 2020. 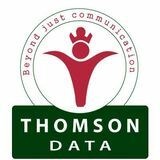 Thomson Data is a leading marketing solutions provider with a vision to achieve the highest service excellence. It works with companies that range from small entrepreneurial business to Fortune 500 corporations, creating successful marketing formulas and better business relationships. For further details Contact Thomson Data Now! Disclaimer The information in this report is obtained from various reliable sources. Thomson Data disclaims all the warranties as to adequacy, accuracy, and completeness of such information. Thomson Data shall hold no liability for any omissions or errors in the data and interpretations stated herein. The opinions articulated in this research report are subject to change without any prior notice.